Syed Muneeb Ahmed took a 22-hour flight from United Arab Emirates to come to the U.S. without family or friends. He was 17, shy and culture-shocked. He would take the stairs in his dorm, up and down seven floors just to avoid elevator chit-chat. All that has changed. Over the past four years, he has worked as a door-to-door salesman, an actor and a leader of international students. He founded and captained the Raging Bulls soccer team, presented mobile apps to business experts, joined a choir and has done everything an introvert would never do. Personal and professional development, he says, comes through adversity and overcoming fear. As the first person in his family to go to college in the U.S., Ahmed will graduate in May with a bachelor’s degree in business analytics and information systems, with a concentration in cybersecurity. He already has a job offer from Apple and is involved in Product Management at Rentersbay.com. He received a scholarship to attend the Make School’s summer coding academy in San Francisco last year, and he was selected as one of the 10 students from USF to attend the Florida International Leadership Conference this year. 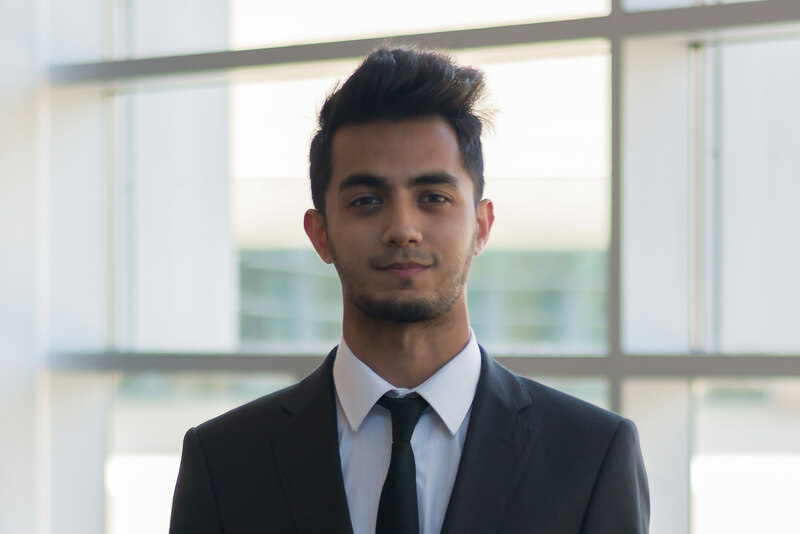 Last year, Ahmed won the Elevator Pitch Competition for the first time, beating 150 other business students. Since then, he has gone on to compete and win in two other pitch competitions. In competitions alone, Ahmed has won over $5,000. He has also been awarded the H. Wayne Huizenga Endowed scholarship in entrepreneurship. Ahmed sees himself on a never-ending journey, solving problems through tech and innovation and having a positive impact on people’s lives. Bisma Balouch is the first in her family to get an education abroad as she hopes to build a successful career and make her family in Pakistan proud. Balouch believes that being part of the community is essential for personal and professional growth. Her involvement with Bulls Service Break is among the best memories she has at USF. She says that experience opened her eyes to the importance of selfless community work and helping other people less fortunate. Balouch has an overall GPA of 3.7 and will graduate in May 2019 with a bachelor’s degree in finance and business analytics and information systems. 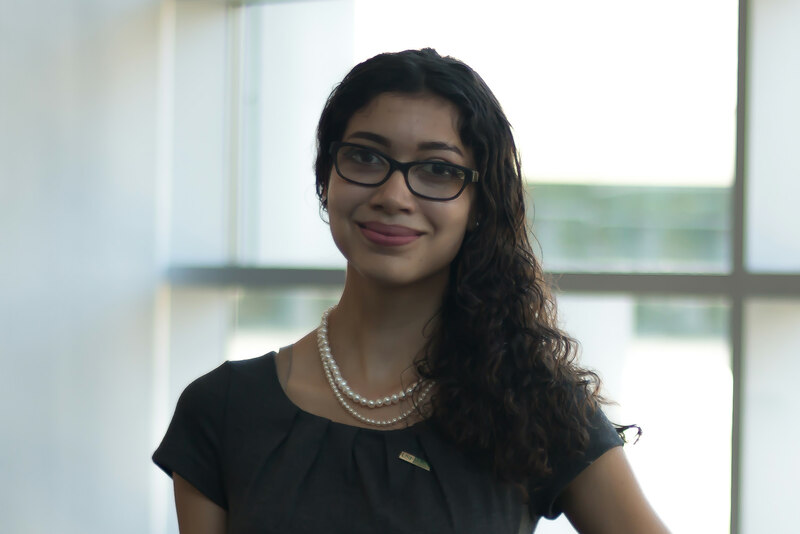 Working with the USF Center for Civic and Leadership Engagement, she dedicates herself to raising awareness about social issues and injustices through education, service and cultural exchange while empowering students to become catalysts for positive social change. She currently serves as a Trip Educator for the Minority Empowerment and Refugee Rights Trip, which works with the Friends of Refugees organization in Atlanta. She coordinates all educational aspects of the trip and she engages students in critical conversations about minority and refugee populations. She continues to engage in opportunities that allow her to build leadership skills through service to others. 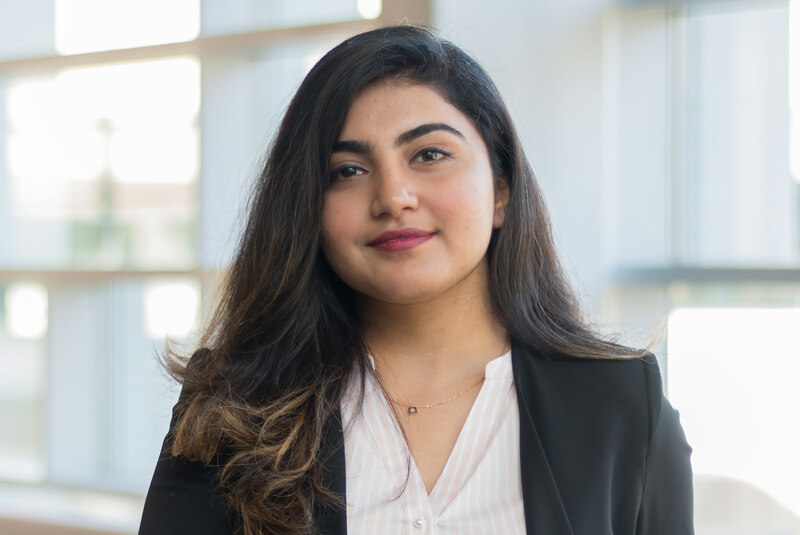 She is member of the Muma College of Business Corporate Mentor Program and is the treasurer for Enactus at USF, where she evaluates financial decisions and documents purchase request forms. She manages to do all these things and keep her grades up while working 20 hours a week at a restaurant on campus. A native of Pakistan, Balouch hopes to achieve her dream of bridging the educational gender gap in her country. Pamela Bulu knows she has a different way of thinking when it comes to business. Though she possesses an interest in art, she doesn’t see much direct application in her business education. She does, however utilize the way the arts makes her visualize and explain data, and therein lies the uniqueness of her personality. 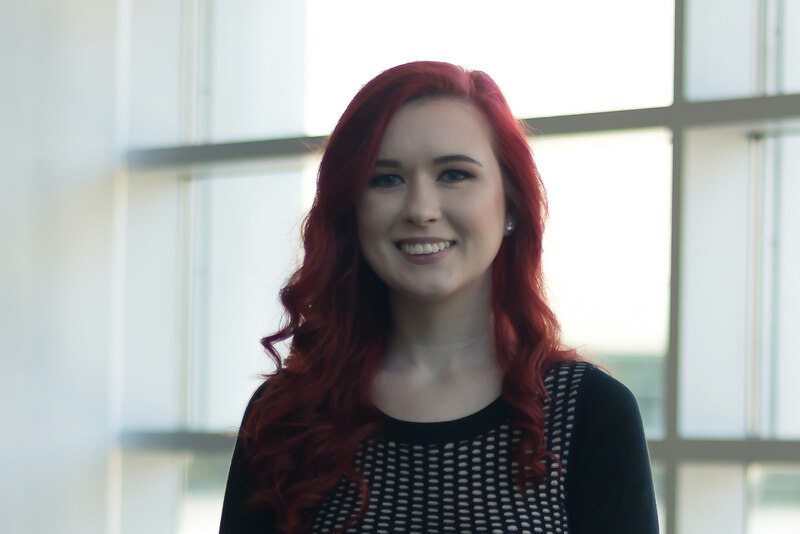 She has settled on the idea that there is an important connection between the arts and her business analytics and information systems major. Bulu will graduate in May with a concentration in cybersecurity. She is a member of the Bulls Business Network and the Muma College of Business Leadership Program. At Research Day 2018, Bulu won the best public health poster. Being a full-time student with a part-time job can be stressful, but her grades have not suffered. She has an overall 4.0 GPA even with the extra challenges of taking high-level departmental electives. She also is a Provost Scholar, a program that recognizes students who enter USF directly from high school with 18 or more college credits. The program allows Bulu to graduate a year ahead of her peers with a portfolio of professional development experiences. She is the recipient of the USAA Annual Scholarship, the USF Presidential Scholarship and the National Advanced Placement Scholarship. She plans to graduate with a degree in business and a certificate in business and art. Christine Cazeau is in her final year at USF and is a marketing development intern at Raymond James. But her goal is not to own mega mansions and private airplanes. 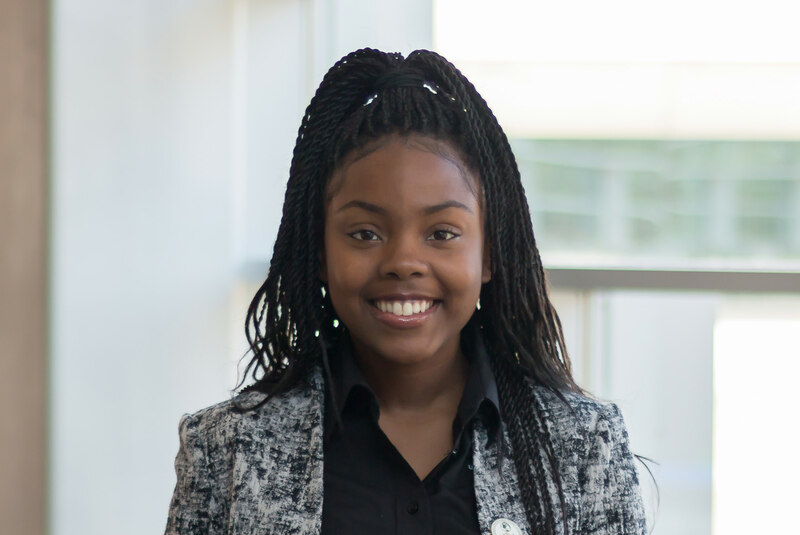 She wants to start a nonprofit that helps the homeless by not just feeding them, but by aiding them in returning to school or entering the workforce. This desire comes from her work with the Black Student Union in which she helps feed nearly 400 homeless people weekly. A little boy named Yusuf, who she keeps in touch with regularly, is among those she has helped. Cazeau will graduate in May with an overall GPA of 3.8 and, in spite of a heavy load of internships and extracurricular activities, she has been on the dean’s list for four consecutive semesters. Starting as a nursing major, Cazeau soon realized her passions were elsewhere and found her niche in marketing. She serves as the marketing director for Alpha Kappa Psi and is the public relations contact for the Black Student Union. She also is a USF Student Government senator where she enhanced career advising for the dean’s office. She is involved with Big Brothers Big Sisters of Tampa Bay, USF’s Honors College and the marketing mentorship program. She is a recipient of the USF Alumni Association Honors and Ethics Scholarship. She is also trilingual in English, French and Creole. Daniel Chapman grew up in a poor area of Scotland, but was instilled with a sense of the importance of education and community service. Like most international students, coming here from a far-off home was difficult, but Chapman arrived with that commitment to education and community intact. He will graduate in May and with a 3.91 GPA, his name is a regular on the dean’s list. He is the recipient of the USF History of Achievement Award and the Raymond James Scholarship in Business. He is also a member of the Beta Gamma Sigma Honors Society and has volunteered at Junior Achievement, teaching financial literacy to elementary and middle school students and stressing the value of education. Volunteering at Feeding Tampa Bay, Chapman saw the extent of those without access to healthy and reliable food in the region. This spurred his desire to give back to the community. At USF, he devotes time to the Bulls Business Community and the Business Honors Service Association. He is a peer leader for business calculus, where he helps a class of 30 students master difficult concepts. 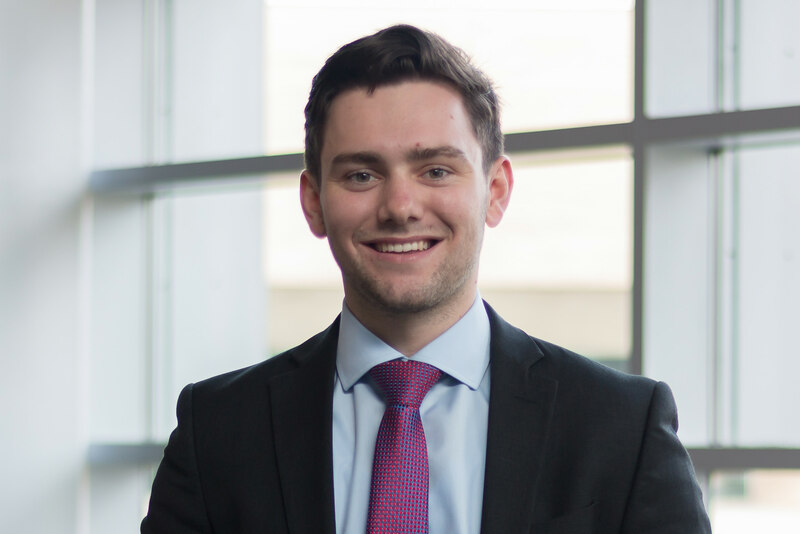 He serves as Student Managed Investment Fund manager, where he studies stocks and helps pitch them to professional investors using actual money in the student fund. He also served as a summer analyst intern for Goldman Sachs in New York. Taylor Croizat has one foot in academia and the other in the workplace. 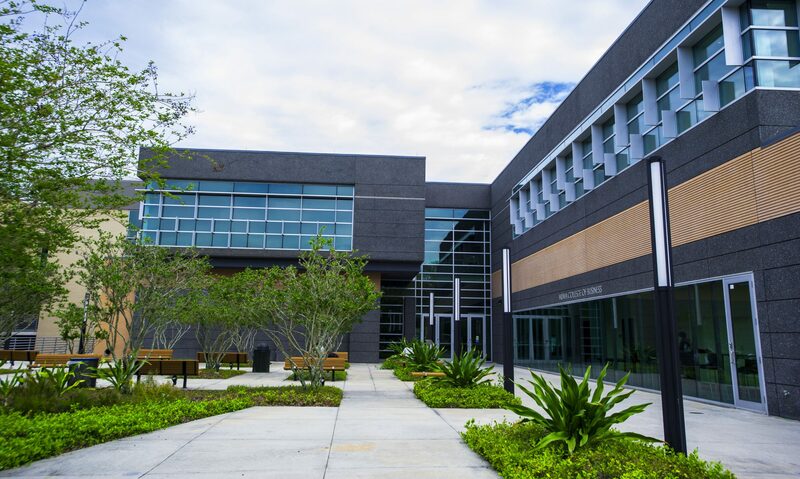 She has worked for the Bank of Tampa for the past five years, earning steady promotions, while attending Hillsborough Community College and USF full time, working toward a bachelor’s degree in accounting. She has an overall GPA of 3.75. 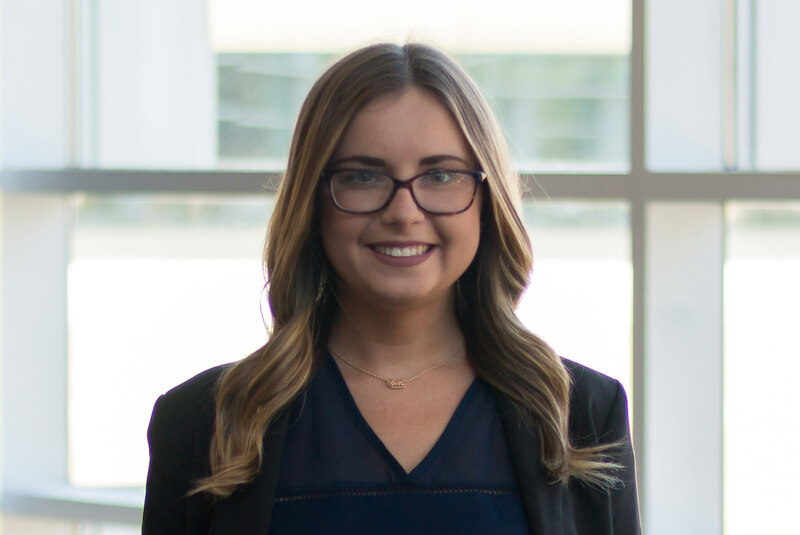 Croizat began working at the Bank of Tampa in 2013 and within the first year, she was promoted to senior banking representative responsible for training new employees and building relationships with clients. She managed the vault and ATM and completed monthly audits. Just before transferring to USF, she was promoted to accounting representative and that’s when she found her calling. A short time later, she was promoted to accounting specialist. In that role, she has improved the accounts payable processes and procedures, and will soon transition to assist on the accounting side of the bank’s investment portfolio. She helped create the 2018 budget for various departments and fostered relationships among the accounting department and other departments. In 2017, Croizat won the Employee of the Year Award. All this while taking a full load of classes at USF and being involved in extracurricular activities including cooking meals for families at the Ronald McDonald House in Tampa, ringing the bell for the Salvation Army’s Red Kettle Campaign and being a co-chair for the Wellness Committee at the Bank of Tampa. Olivia Davis draws on a motivation that goes back a long way, back to when she was an infant. “I can’t wait to watch you grow and learn,” her mother wrote in Davis’ baby book. Her mom, who raised her with a vision of a bright future and successful career, passed away when Davis was 10 years old, but that only added to the importance of the sentiment. She continues to strive to make her mother proud and live the best life she can in the classroom and in her career. Davis is now a business management major who will graduate in May with an overall GPA of 3.71. She has served as vice president of operations at the Kappa Delta sorority and has maintained an active membership in the College Republicans and Women in Business Society. She has interned both locally and in Washington, D.C., where last year she worked as a public-opinion research intern for the Heritage Foundation’s Young Leaders Program. The year before, she was a congressional intern for U.S. Rep. Rich Nugent, R-Florida. For the past three years, Davis has worked as a graphic design and online marketing intern for the USF College of The Arts, handling duties that range from updating the college’s website to designing posters and proposals for media campaigns. She also has found time to be an active volunteer with Girl Scouts of the USA, the Joshua House and Junior Achievement. Her immediate future after graduation is set. She has accepted a job as operations analyst for the Depository Trust and Clearing Corporation.